Contests on Instagram can be seen being created by any type of brand. From start-ups to fortune 500s. Running a contest on social media, and Instagram, in particular, is a great way to engage your audience, increase your reach, and get lifelong supporters of your brand. But setting up your contest is not enough. While you are at it, you want to make sure you are getting best possible results from your efforts, and today, we’re looking at 8 things that will help you get better results from Instagram contests. 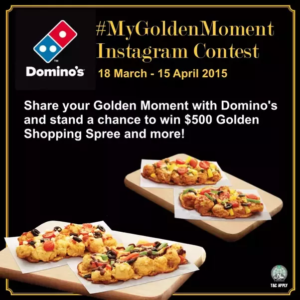 When setting up your contest, you want to make sure you are aware of Instagram’s rules towards contest campaigns. While platforms like Facebook have much stricter rules than Instagram when it comes to contests, it’s always better to stay on the safe side. The last thing you want is to have your contest taken down or get flagged. Your contest needs to have official rules. It needs to have rules of entry and state rules and limitations of entering, for example, age or location). Your campaign needs to apply the rules you said the contest had, for example at registration. Make sure you have all the permissions necessary. Every contestant needs to have a complete version of Instagram. Your campaign needs to have a confirmation that it is in no way sponsored, administrated, backed up, or tied to Instagram. In this article, we won’t look at the most basics of setting up a contest on Instagram. Instead, we’ll look at how you can streamline your contests and generate better results. For a complete step-by-step guide to setting up a contest on Instagram read How to set up a successful Instagram contest. But most importantly, they work. Otherwise, you wouldn’t see so many brands do it. Depending on your campaign goals, they can do a lot for your brand. They can increase your newsletter sign ups, drive traffic to your website, grow your Instagram page, increase brand awareness, and even drive more sales! It all depends on your rules of entry and your overall content strategy. Just know that Instagram contests are that powerful. What are your goals with your contest? Going into something without clear goals is a bad idea. If you have no goals, you won’t be able to tell if the campaign was successful or not. There are plenty of goals you can set for your campaign (some of which are seen above), but it’s important to be even more precise with what you want to achieve. Simply saying “I want to increase traffic” is not enough. Instead, you need to say “I want to increase traffic by 10% over two weeks. I’ve said it before and I’ll say it again. The better prize you give away, the more contestants you’ll have, and the better results you’ll generate. However, that does not mean that you have to give a way a car or $10k to generate results that are worth your efforts. Nor does it mean that you’ll see a positive ROI if you’re giving away prizes of that value. Instead, the relevance of your prize also plays an important role in what people you’ll attract. It’s just like acquiring followers on Instagram! Some people want as many followers as possible, not caring about the quality of those followers – even if they’re inactive users or bots. The same goes for Instagram. Do you want 300 contestants where most of them don’t care about your brand, or have an interest in your industry, or, do you want to have 100 contestants, all of which are passionate about your brand and are all potential future customers? What prize you give away will play a huge role in what people you attract. As a brand, the best thing is to give away your products. Even if they’re not worth equally as a car. This is because you’ll automatically get a ton of exposure of your products, and increase product awareness during your campaign. Moreover, giving away a generic price such as cash or a car tends to attract freebie seekers who basically scans the web for contests, but that’s not beneficial for you. Also, by giving away your product, you might make some people so eager to get one that they actually buy it from you instead. Last but not least, when you give away the product, you make someone really happy. Because they are happy that they won the contest, they’ll think of your brand in a positive light. While the winner technically isn’t a customer, their chances of buying something from you (even though they won) increases. What’s your “why?” of your contest? And I am talking about the “Why are you arranging your giveaway?” type of why. The why is similar to goal setting but still different. The “Why” lets you be a little bit broader than when you were setting your goals, but not too broad though. Why arranging the contest should reflect what your goal with social media i. Not what your goal with the contest is. Think short-term and long-term – but always strive for long-term. The contest is just a tool to help you get there, really. The “Why” can be anything from “strengthening my Instagram presence” to “become a thought leader on social media. 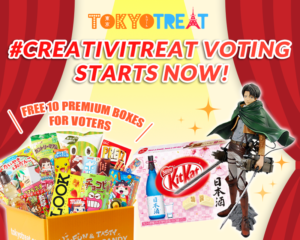 Most often, a giveaway is promoted in one or a few posts of the brand arranging the contest. Nowhere else. You want to make it visible in as many places as possible in order to get as many people aware of it as possible. Not everyone will accidentally scroll past your post and decide to join. Therefore, a simple information piece in your bio is enough to spark the interest of those visiting your profile and make them join your giveaway. This is a fun twist to the regular Instagram contests that you see on the platform. Usually, the brand is the one who picks the winner and announces it. 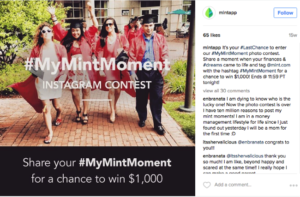 But now that more and more brands are arranging contests on Instagram, you need new ways to stand out, and make your contests fun and engaging. Often times when I come across a giveaway that has just ended, I look at the comments they receive in their announcement posts. Of course, unless you share a post or video that shows the process of picking the winner, people might start questioning. Therefore, taking the approach of letting your audience decide the winners might be something to think about. And 2. You need a good way for people to vote. The reason you want to look into doing this is that it is far more engaging and demands your audience to be engaging close to your brand, than if you were the one to select a winner. The most effective way of doing this is to let people share a post of some sort, then you select your X favorites and share them on your post, asking your audience to vote on which entry they like the most. Letting other people decide on the winners will give you, even more, exposure when the contestants ask all their friends to vote for them. Many brands believe that the longer the contest runs for, the more people will join, but that’s not always the case. If it runs too long, people will forget about it. 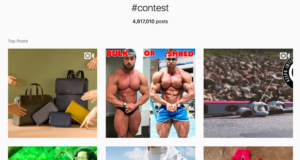 There’s a lot of confusion around the length of an Instagram contest, and social media contest in general, but the truth is, there’s no exact answer. The most exact answer I can give you is “Not too long” but that doesn’t tell you anything, so let me explain. The general timeframe that is often talked about is a week. Of course, it can vary depending on what type of contest it is. It can be slightly shorter than a week, or it can be close to two weeks. When you want to market something, you need to create a sense of urgency and make it seem like people will miss out on the opportunity unless they don’t decide to join it on the spot. 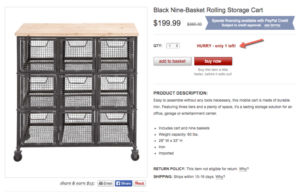 You have probably seen these ad campaigns everywhere, and frankly, that’s because they work. Humans hate to miss out on good opportunities and will, therefore, make sure to join it. According to behavioral psychologists, urgent situations cause us to suspend deliberate thought and to act quickly. When your contest runs for weeks or even months, then forget about it and not do it at all. 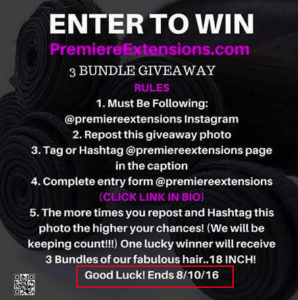 A mistake many brands do with their giveaway is to only inform about it in the caption. But let’s be honest, how many people aren’t scrolling post after post without actually reading the caption? To catch your audience’s attention, a caption is simply not enough. A visually appealing design is what you need. 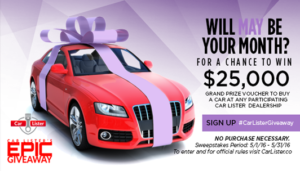 For giveaways, you can use either a photo, video, or a graphic, but the most important part is including one or more of the contest words that appeals to most. Make sure you include at least one of these in bold on the post you are sharing: “Giveaway, contest, sweepstake, win”. People love these words because they mean the chance of getting something free. When people scroll past a post like this in their feed, it will catch their attention far more than just announcing your giveaway in the caption. If your rules of entry are to repost your post, it’s even more important to design an image that is amazing. Otherwise, people won’t repost it because they don’t want to clutter their feed. Plenty of the contests on Instagram have a branded hashtag included, but far from every. By having a personalised branded hashtag, it will be easier to create a conversation around that topic, while also making it easier for you to track the entries of your contest. One of the most common ways to track entries in a “repost to win” type of giveaway is to ask the contestants to include the branded hashtag in the caption of their post. That way, they’ll make it visible to everyone in the conversation. When running a contest, there’s no point in using hashtags like #Contest, simply because there will be no good way to track all the entries. Right now, there are over 4 and a half million posts using the hashtag #Contest. A branded hashtag is normally your brand name, or your brand name together with some other term. If you want to create a hashtag that is only going to be used for your giveaway, why not use your brand name + contest. So if your name is Best computers, your hashtag would be #Bestcomputerscontest. Simple! If you want to learn everything about personalized hashtags, read How to Create a Personalized Social Media Hashtag And Why You Should, because if I would bring up everything now, we’d be here all day. However. This does not mean you should neglect the ordinary hashtags.The best is to include your branded hashtag within the caption and then include the generic hashtags at the bottom or in the comment section. There are literally hundreds of ways you can set up your contest, and the rules of entry. What is most important is that your rules of entry reflect your goals that you (should have) set in the beginning of the article. There are tons of variants of these, and some even require you do them all to join. The point is: everyone uses them, and they are no way to stand out. If your goal is to drive more traffic, then maybe these rules aren’t suitable for you? Maybe you should do something completely different, such as have an entry form on your website. Whatever your goal is, you can spice things up by creating a contest that very few brands have done. By creating something unique, inevitably you’ll attract more attention and interest. There’s a lot you can do to tweak your Instagram contest to generate better results. The approach that every single brand uses is starting to get saturated, and therefore, you need a new approach to cut through the noise. Hopefully, these tips will help you run more successful Instagram contests!